Up until a few nights ago, I had never experienced crowd surfing at a concert (I’m a rookie, I know). Up until a few nights ago, I had also never experienced so much energy given off by one single artist at a given time. Up until a few nights ago, I had not experienced a MØ concert. When I use the terms ‘crowd surf’ and ‘energy,’ I do not use them lightly. MØ did not stop for one second, other then the brief seconds when she interjected “Thank you, Boston!” in between songs. What was so fascinating was that even when she was on her back supported only by the human sea, standing on the bar in the back of the room after running through the crowd of concert-goers, or sitting on the shoulders of a fan in the front row, MØ sounded as euphonious as ever. The live band that supported her served as an interesting diversion from the synth and electronic beats that serve as the background music on No Mythologies To Follow. Speaking of, she didn’t play her title track (a single tear rolls down my cheek). 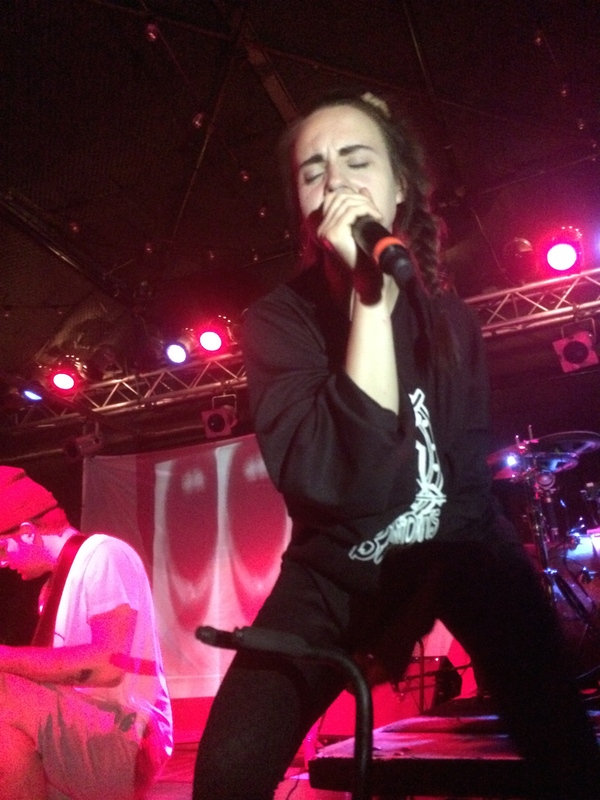 In concert, MØ exhibited the wild and free persona she presents on her album, and so much more. If I had to put on the show she did, I would have passed out after the second song. Hopefully this provides proper insight into how much she ran/ jumped/ crowd surfed around (and/or how much of a baby I am). For her encore, she performed her well known Spice Girls cover of “Say You’ll Be There,” which was the best surprise I could have asked for, as well as “Don’t Wanna Dance.” This was certainly a concert I will never forget. For the absolute best reasons. She continues her US tour for a few more stops, as well as an additional stop in New York in September. If you’re looking for a upbeat and awesome concert experience or a fun time listening to genuine talent and catchy songs, try to go to a MØ concert. I assure you that you will not regret it. 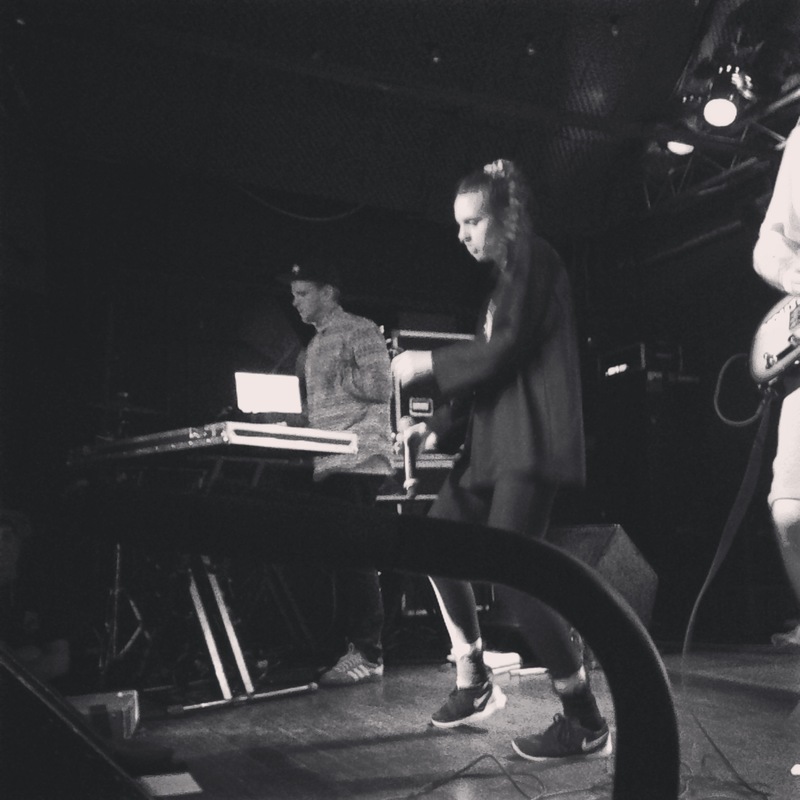 This entry was posted in Uncategorized and tagged Concert, Live, MØ, Music, Spice Girls. Bookmark the permalink. Absolutely adore this lady! Brilliant live!